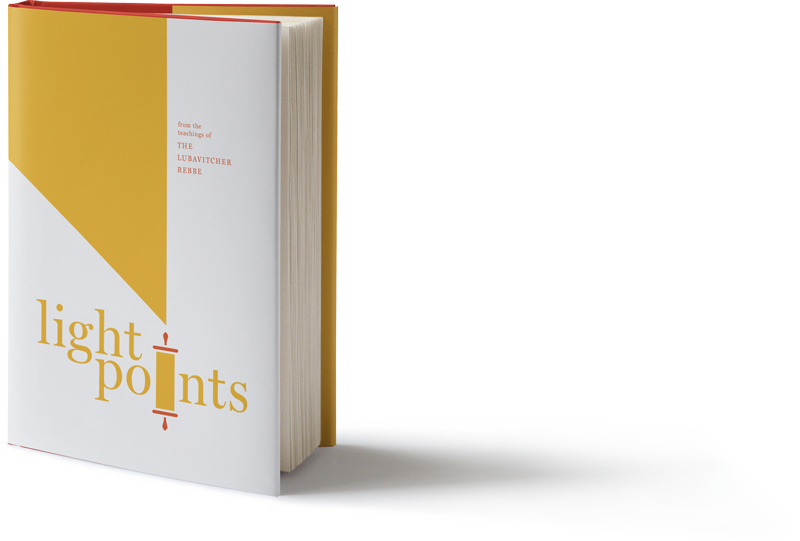 After several years of writing and editing, we are excited to announce the upcoming publication of a collection of the Light-Points in book form. With the help of Hashem, the projected date of release for the first volume (Sefer Berashis) is Chodesh Tishrei, 5778 (October 2017). This collection aims to provide the English-speaking reader with an authentic taste of the Rebbe’s profound, complex, and extensive contributions to Talmudic, Halachic, Kabbalistic and Chassidic teachings. As the many avid readers of the daily Light-Points can attest, the insights vary in style and content. Some focus more on the literal interpretation of the Torah and its commentaries; others highlight the relevance of the Torah's lessons in our day and age. As their name indicates, the Light-Points are intended to be short and easy to read, but more importantly, they are points of light to illuminate our perspective on the Torah, and direct us along the path of truth and holiness that guides our lives. This collection was compiled and written by Rabbi Baruch S. Davidson, a member of the Machon Or Hachassidus editorial team, and the content was reviewed for publication by Rabbi Yehuda Leib Schapiro, Rosh Yeshiva of the Yeshiva Gedola Rabbinical College of Greater Miami, and rabbi of Congregation Beis Menachem in Miami Beach, Florida.